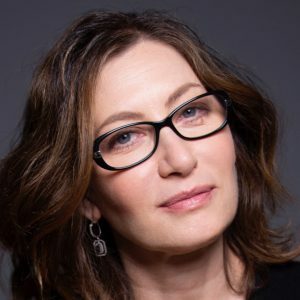 Annabelle Gurwitch is the author of the new essay collection, Wherever You Go, There They Are; I See You Made an Effort (a New York Times bestseller and Thurber Prize finalist); You Say Tomato, I Say Shut Up (coauthored with Jeff Kahn), and Fired! also a Showtime Comedy Special. Gurwitch gained a loyal following during her stint co hosting Dinner & a Movie on TBS, years as a regular commentator on NPR and her many acting roles. She’s written for the New Yorker, the New York Times, The Los Angeles Times, and The Hollywood Reporter.